Air India’s Chairman and Managing Director Pradeep Singh Kharola said Wednesday the airline has started carrying food from India for use during the journey back to the country, in an attempt to rationalise catering costs on international flights. The loss-making airline has already started using food items stocked from India during its onward journey to Stockholm, Copenhagen, Birmingham and Madrid, and use them when returning. It has said food items purchased from these foreign cities are much more expensive when compared to Indian cities. “The food is taken from here in India in chillers and then it is heated whenever it has to be used… Catering costs for us are around Rs 600 crore to Rs 800 crore a year. Catering in India is 3-4 times cheaper as compared to catering in the West,” Kharola said. Within the next a few months, Air India will start serving food from India on its flights returning from the Gulf region, he added. “There are some flights like the ones going to Gulf, Singapore and even some parts of Europe, where it is possible to upload the food here (in India) only. Some work is going on in that direction,” he said. “More important thing is the taste. Whatever you can do, the European caterer’s taste can’t match with the Indian caterer, especially when it comes to Indian food. That is the additional benefit we get. The main thing is that the costs come down drastically,” he added. The portion of the food given to passengers would remain exactly the same, he clarified. Asked how much Air India would be able to save with this measure, Kharola said these are early days and the programme will expand. 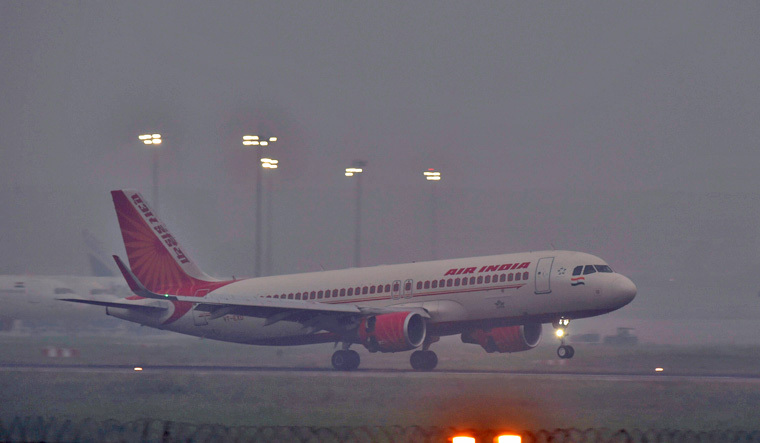 Air India is estimated to have a debt burden of more than Rs 48,000 crore and the government’s efforts for strategic disinvestment of the flag carrier failed in May last year. It has been making losses since the merger with Indian Airlines in 2007. High interest burden, increasing competition, high airport user charges, adverse impact of exchange rate variation and liberalised bilaterals to foreign carriers leading to excess capacity in the market are among the reasons for the losses, according to the civil aviation ministry.